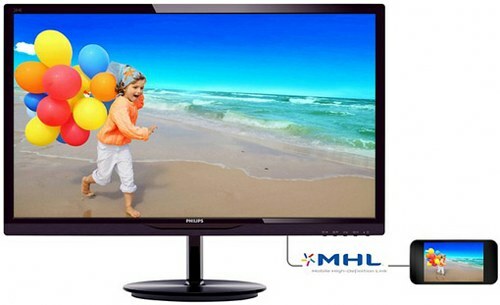 Philips has released its latest 28-inch MHL-ready Full HD monitor, the 284E5QHAD. 284E5QHAD has 1920×1080 Full HD resolution and features 300cd/m2 brightness, 3000:1 contrast ratio, 176/176 degree viewing angles 2 built-in 7W stereo speakers. It also has DVI, HDMI, D-Sub and MHL-HDMI connectors. The 284E5QHAD costs approx. $400.